The “pencil through a quarter” trick is a common illusion performed at parties, bars and on the street: the magician asks the audience to produce a quarter, then proceeds to push a pencil, pen or cigarette through the center of the coin. The magician then pulls the object out and returns the intact coin to the audience. There is no way to push a pencil through a real quarter without drilling a hole in it first, but magic supply companies produce trick quarters made for performing the classic illusion. Procure a trick quarter from a magic supply shop. There are several different kinds of trick quarters, all with their pros and cons. The simplest is a quarter with a pre-drilled hole in the center. When using this type of quarter, you must hold it with your index finger covering the hole in the front and your thumb covering the hole in the back when showing it to your audience. In addition, you must use a pencil exactly as wide as the hole to prevent any visible gaps. The second kind of quarter is a spring loaded quarter with a flap opening. Unfortunately, you can only show one side of the quarter. The third kind is a double-sided quarter with a latex band mechanism. 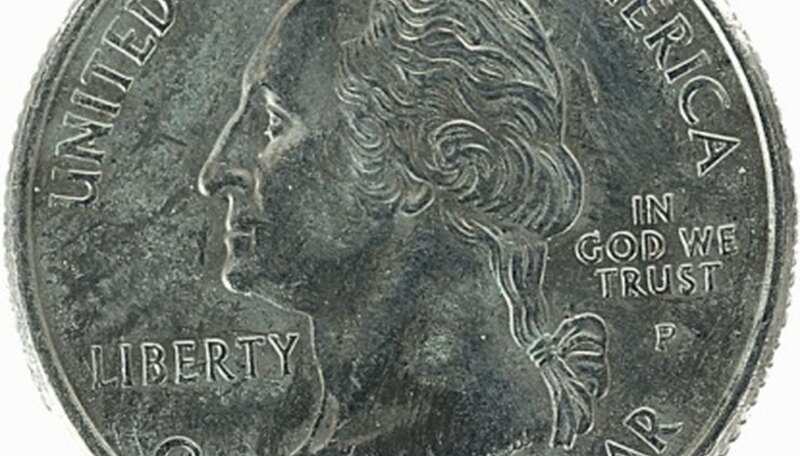 You can show both sides of the quarter, but the flap is larger than the spring loaded coin’s flap and may be more obvious from certain angles. Ask your audience for an ordinary quarter. Use sleight of hand, a magic technique involving quick manipulation of objects, to switch the ordinary quarter with the trick quarter. One way to do this is to flex the muscles in your palm to hold the trick quarter in place while you take the real quarter, then use your thumb to quickly switch the two quarters. While the audience is distracted, you can smoothly drop the real quarter into your lap, pocket or another convenient, concealed spot. Penetrate the hole or flap on the fake quarter with a pencil. Remove the pencil and show one or both sides of the quarter to “prove” that it is still intact. Switch the magic quarter with the real quarter and return it to the audience. Inspect the rubber bands or spring on your fake quarter before the performance, as the springs and bands can break or wear out over time. Practice sleight of hand in front of the mirror before performing for an audience.